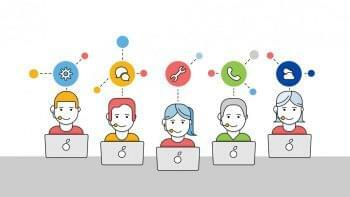 As the call center continues to evolve into the all-encompassing contact center, providers are developing more intricate, and robust solutions to empower companies and corporations to stay on top of their customer service experience. As these providers move beyond simple call center capabilities, Gartner has once again put together their Magic Quadrant review of the industry. Solution providers are now growing their cloud delivery capabilities, and developing what are considered omnichannel solutions – delivering multiple communication channels within one solution. 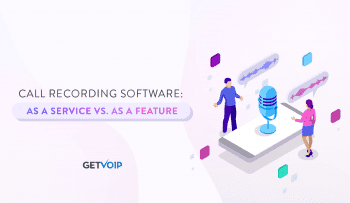 With the standard call center quickly becoming a thing of the past, businesses are rapidly adopting new methods of customer service to reach out to their customers. We’ve seen text support quickly becoming the next big then, and just about everyone already knows how beneficial social media can be. 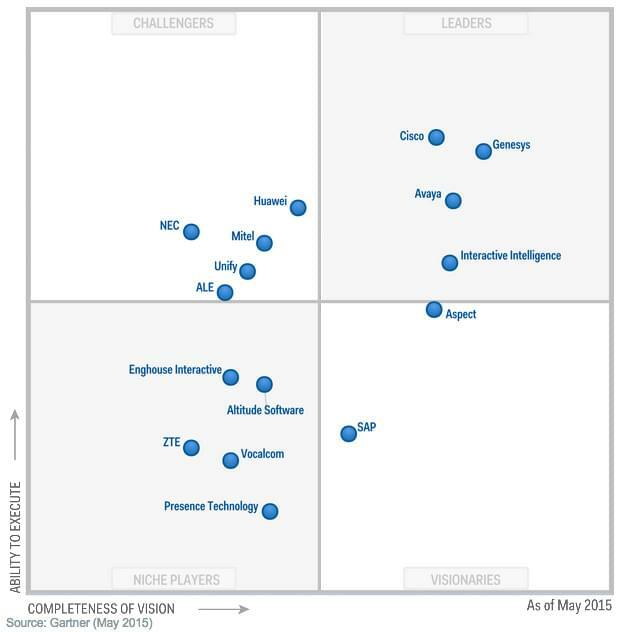 Gartner has shown the industry is continuing to change, even after just one year. With a focus on the Contact Center Software Provider‘s technology and ability to deliver in relevant regions, the technology research and advisory firm has compiled this year’s list of Contact Center Leaders, Challengers, Visionaries and Niche providers. We decided to take a closer look at both the 2015 and the just released 2016 reports to shape a better understanding what the market looks like, and how it has changed in just one year. Before we can jump right into the list, to help us shape a stronger understanding of Gartner’s report, it would be helpful to have an idea of just how a provider makes it on the list. In order to have a chance to appear on Gartner’s Magic Quadrant report, the providers must complete and submit a length questionnaire to provide information about their company in general, offerings, and solutions. As the report explains, Gartner looks for the Completeness of Vision, and Ability to Execute in each of the provider’s focus. According to the report, Gartner defines contact center infrastructure as “the products (equipment, software, and services) needed to operate call centers for telephony support and contact centers for multichannel support.” Some of services can include telephony infrastructure, multimedia contact routing, outbound dialing, presence tools, CRM integration, web chat, email response management, social media and even live and prerecord video. Gartner looks for these, and more, capabilities as their criteria for a service provider to be included within the Contact Center Infrastructure Magic Quadrant. 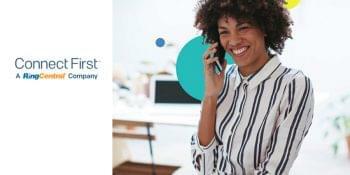 With three distinct contact center offerings, Enterprise, Service Provider, and Communications Center, Enghouse Interactive offers a solution for just about any size business. From massive Enterprise premises-based contact centers down to small and mid-size contact centers, Enghouse has moved up the list because of this increase in market offering. Gartner specifically noted that Enghouse “showed good market traction for its SMB-targeted offering,” specifically for those searching for “native integration with Microsoft’s Skype for Business UC offering.” On top of that, Gartner also noted that Enghouse did in fact grow their enterprise and service provider focused contact center solutions as well. Enghouse moved up to a Challenger due to a strong solution that can adopt a variety of IP-PBX and Microsoft Lync infrastructure environments. To put it simply, Enghouse Interactive’s solutions play nicely with some of the widely adopted existing UC solutions on the market – specifically with a Microsoft focus. Because of this, Enghouse’s Contact Center: Enterprise and Communications Center offerings will work really well for companies that are hoping to integrate “their front-office contact center platform with their choice of back-office UC and telephony platforms.” Headquartered in Canada, Enghouse also managed to expand their global enterprise sales channel partnerships in 2015 – although they are not completely global just yet. Headquartered in Paris, France, ALE is a privately owned provider which has trimmed down its offerings into two platforms, the OmniTouch Contact Center Standard Edition and OpenTouch Customer Service Suite (OCTS). While ALE is an established brand among the enterprise communications market, especially so in Europe, there are concerns of how ALE will continue to innovate. The company is now in its second year of majority ownership by company China Huaxin, which had “strategic intention of doubling its business in five years.” However, based on Garnter’s report, there is still no clear indication of just how ALE will manage to achieve this goal. Gartner even noted that it is not clear if ALE’s contact center business will even play in any part of this doubling the company goal. ALE does also have a strong professional service organization established in order to support its vast channel partners and even customers, however Gartner also reported that ALE’s contact center business specifically preformed “Especially poorly in 2015 in relation to its industry peers.” So while ALE has promises and goals to double the business, and a name that is already recognized at least in Europe, the company has been struggling to keep up with competitors in the past year. There is also no evidence that ALE will continue, or even begin, to innovate and address the growing gap. Gartner felt the provider should be brought down to a Niche player, no longer going toe-to-toe and challenging the bigger providers. In a similar fashion to that of ALE, Unify also got bumped down from a challenger in the space, to a niche player. Unify, who is owned by the global system integration and outsourcing business – Atos, offers a flagship solution for large organizations with up to 7,500 users. Unify actually has a partnership with inContact for their OpenSpace Cloud Contact Center offering, and also relies on a partnership with Genesys for businesses that require even more high-end and complex solutions. Unify also has something for the SMB market, with their OpenSpace Contact Center Agile designed for companies with less than 100 agents, as well the as OpenSpace Business myAgent all-in-one solution for up to 64 agents. On top of a solution for almost any size, Unify has been undergoing an extensive restructuring, and now owned by Atos it is in a “financially stronger position to execute a growth plan.” So with all this up its sleeve, you may be wondering why Unify managed to fall on the list. Well, their contact center business unit “performed especially poorly in 2015, relative to industry peers, as shipments fell by 22% on the previous year.” Gartner also explained that Unify has too many competing solutions in its portfolio, and it is unclear whether Atos favors continued development of the Unify product itself, or just rely on another solution with their partnerships with Genesys and inContact. Essentially, Unify doesn’t offer a clear-cut solution, and does not seem to have any clear-cut plans on how to trim down the fat, or innovate in the near future. While we saw three providers move, two down and one up, the overall majority of providers included in Gartner’s Magic Quadrant report actually managed to remain in their previous category. Most of the Leaders are still leading, even Avaya despite reports of a possible sale, while most challengers continue to hold their own as well. The biggest changes we noticed was in the Niche space, with two falling down into the category – ALE and Unify. It is interesting to me to note that these providers are both European based, and both were considered to perform poorly when compared to the competitors in 2015. It will be interesting to follow these brands and see how they can innovate, or double down on the efforts that make them a unique and robust solution. However, most of the names you would imagine to be a leader are holding strong, also including Cisco, Genesys, Interactive Intelligence. It’s no surprise the biggest names in the industry are still the leaders, as it would probably require a massive catastrophe to dethrone them. Many of the visionaries remained due to a clear plan to innovate, but the inability to put that plan into play just yet. For example, Aspect who remained as a visionary, has been revitalizing its business since appointing a new management team about three years ago, Gartner reports. They are now looking to rebrand as a “cloud-first” vendor, with a whole suite of new cloud based solutions. While they have a vision, a plan, current offerings are limited especially on the Enterprise level. The plan is there, just not executed yet so they remain a visionary for the time being. It makes sense that most of the players stayed where they are, without any ground breaking innovations or drastic changes to the market this year was a bit of a quieter one. I’m sure as we see a continuous shift away from on-premises to the cloud based solutions rapidly becoming popular, along with consolidation of some bigger players, as well as continuous offering innovation, the next few years will note even dramatic more changes. Who Was Added To The List? For the UCaaS Quadrant, we went over who actually managed to fall of the list, as was the case for a few providers. However, this around, we noticed the list actually grew – with two new additions included in the report. 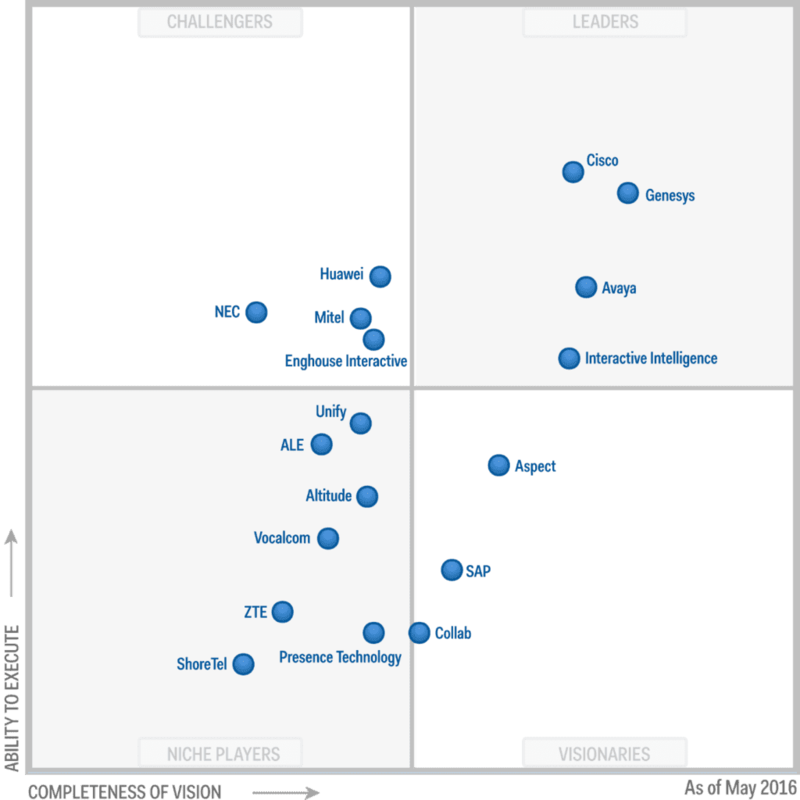 Both Collab and ShoreTel managed to make their way onto the Magic Quadrant, with ShoreTel landing in the Niche players, and Collab finding themselves at home amongst the visionaries. I’m not too surprised ShoreTel has made it onto the list, with robust UcaaS offerings, it makes sense that their Contact Center Infrastructure would be solid as well. However, they remained as only a niche player because Gartner felt the provider was best suited for a midsize organization already committed to, and utilizing, the ShoreTel portfolio. They also specifically noted ShoreTel would be best for a company with limited contact center requirements. The company is in a stable position with no debt, but the CCC platform is limited in terms of multichannel communications – SMS video and social media channels have yet to be supported. Gartner also dinged the company for a lack of international presence, with three-quarters of their business concentrated in North America. Most international business is only done in English-speaking countries, as well. This leaves ShoreTel to the fitting category of Niche player. Also added to the list is Collab, who delivers a solution that specifically “resonates with enterprise clients due to its breadth of functionality.” Gartner seemed to be a big fan of their tightly integrated Work Force Optimization offering, which “makes innovative use of gamification to improve agent’s performance.” We of course have seen gamification before, but it’s interesting to see Gartner weighing the idea so heavily – although it does make total sense. 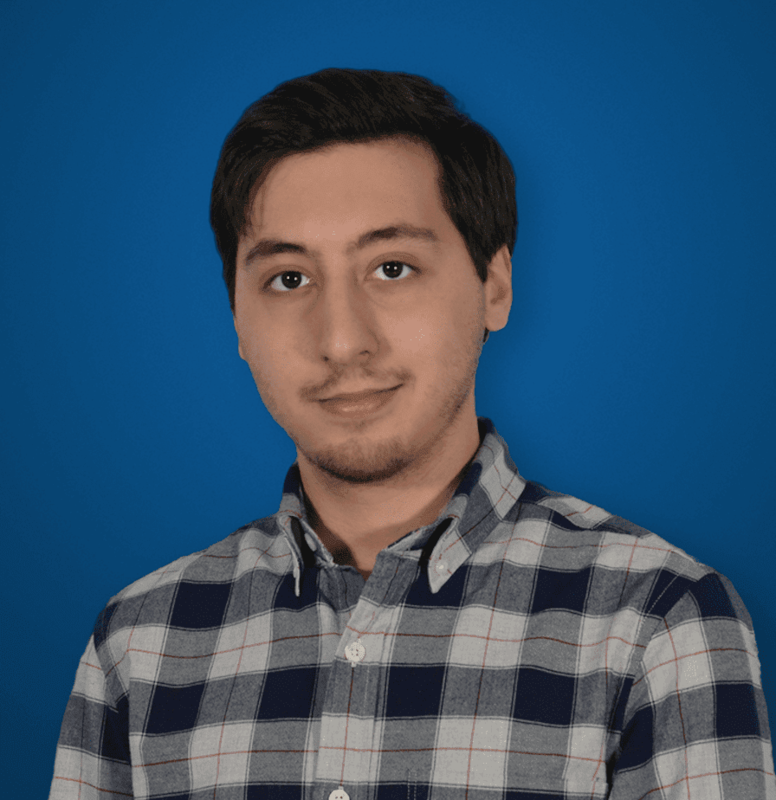 I’ve said time and time again, efficiency and productivity is absolutely key in a contact center, so utilizing the best methods to manage agents to ensure the best preforming agents is a good thing. Although, very important to note, Aspect actually went ahead and filed for Chapter 11 bankruptcy protection earlier this year, and will have completed the processes by the time the Magic Quadrant has published. Gartner specifically noted, Aspect is solid for a business that needs to integer ate with multiple IB-PBX environments. Gartner’s Magic Quadrant reports offer an in-depth look at the current market and offerings available to not only the Large Scale Enterprises, but medium and even small businesses around the world. By comparing both reports from 2015 and 2016, we can shape a deeper understanding of the market, the trends, the maturity of the market, and also specifically analyze each provider and their moves. Comparing both years side by side can provide an overview to see what changes or moves fared what for what players, and who might have fallen behind slightly. If the Magic Quadrant alone is anything to go by, it is very evident that the market is maturing, and at a steady yet rapid pace. While the Contact Center market has been a relatively quiet one, things are now starting to move quickly as 2016 comes to a close – I’m very curious to watch Avaya, and even see if Genesys is willing to make a move to take over, or even acquire their contact center solution. Only time will tell how the market continues to grow, but it will grow and fairly quickly.